Get ready for a space adventure with the Smithsonian! 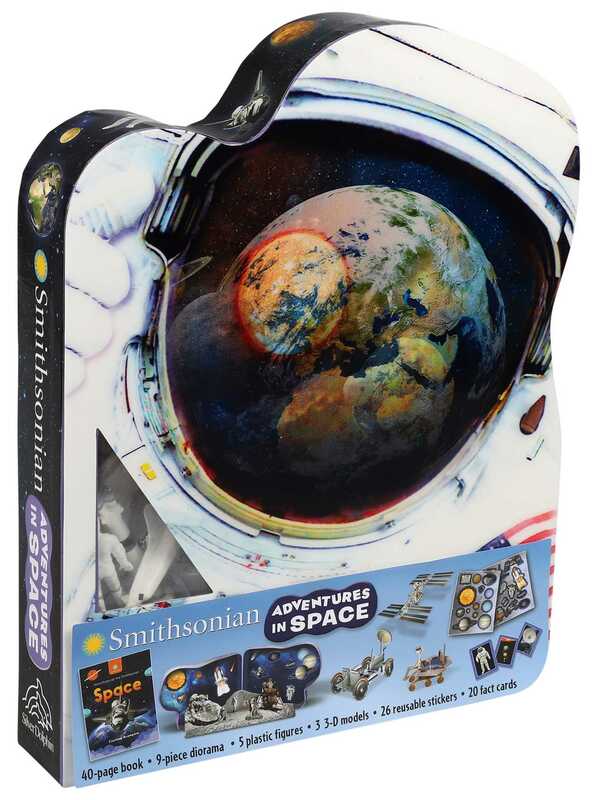 With a lenticular cover and packed full of fun surprises, Adventures at the Smithsonian: Space contains everything young space explorers need to learn about the planets and beyond. After reading about the planets and space exploration through the Smithsonian's collection, kids can use the shaped box to create their own Moon landing scene with dioramas, cardstock models, and figurines. Whether it's Jupiter's moons or Neil Armstrong's space suit, Adventures at the Smithsonian: Space contains everything kids need for an intergalactic adventure!